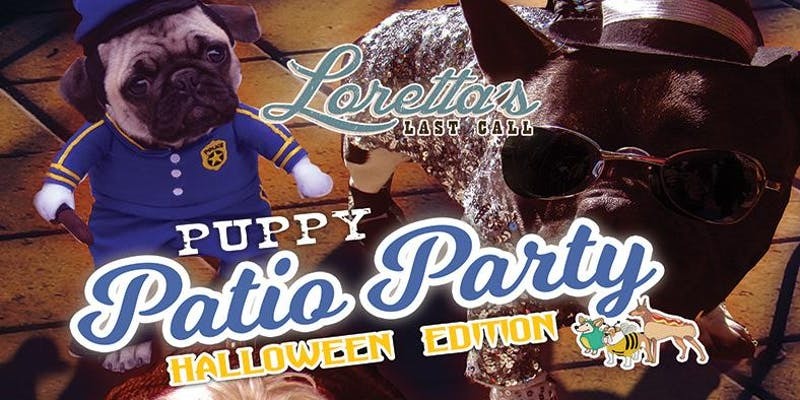 Halloween Puppy Patio Brunch at Loretta's Last Call! CALLIN' ALL DOG OWNERS: What are you dressin' your furry friend up as for Halloween this year?! We want to see all of our patio pups decked out in costumes at our second puppy brunch event of the year, and we're ready for a woofin' good honkytonk! • All dogs welcome on the patio! • Dress up your pooch and enter our "Puppy Costume Contest" for your chance to win an extra special gift basket! • Tricks, treats and toys! Trick or Treat Brunch at the Lansdowne Pub!